A summary of my day at Webzen can be found at www.gamingclimax.com! My preview of C9's new classes and Ultimate Fury Skill is up at www.gamingclimax.com! After a 14 hour flight from Seoul, I was tired and hungry. I had a nearly five hour layover in Detroit's surprisingly lovely international airport. Halfway through, the stomach began to rumble and I thought this would make for another excellent road trip edition of The Burger Gourmet. Nestled in the middle of one of the terminals was National Coney Island. It looked like a diner had been transplanted into the airport and the fourth wall was removed. Thinking back on it, it was like a hybrid of the diner from Seinfeld and the bar from Cheers. It was a great place to sit down during mid travel and have a burger. The Classic Detroit Burger was as the name implies, a classic. It has the traditional ingredients for a burger: lettuce, cheese, and tomato. The patty was full of flavor and juicy. It didn't do anything special with any extra ingredients and it didn't need to. It was a solid, tasty burger and perfect to recharge my batteries. 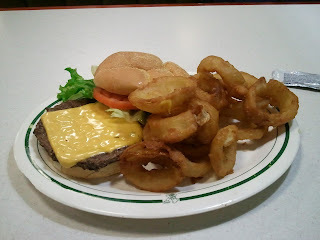 So, if you ever find yourself in Detroit's international airport, make sure to stop by National Coney Island. An almost overwhelming helping of delicious onion rings. My breakdown of the combat and classes of TERA is up at www.gamingclimax.com! Ingredients: Lettuce, tomato, onion, American cheese, coleslaw topping? An international burger review? No way! While overseas, it was a goal of mine to find a burger joint and see South Korea's spin on an American staple. 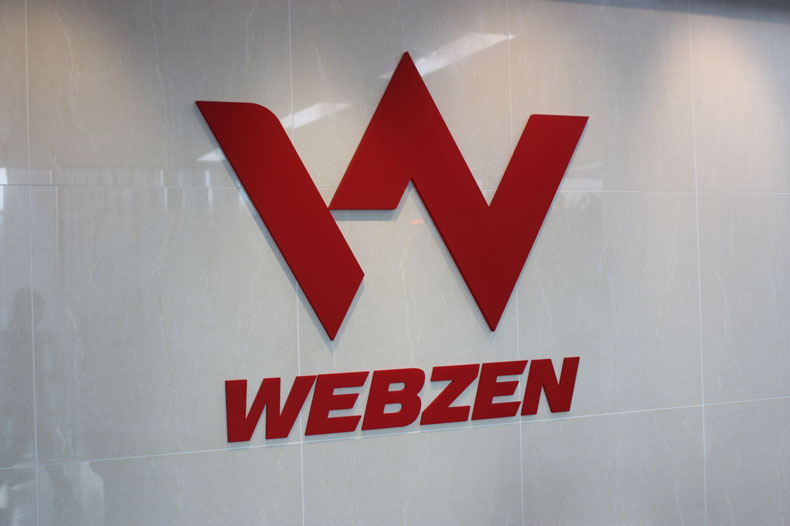 Thanks to the kind folks at Webzen, this dream became a reality. Restaurants in South Korea are definitely classier than what I'm used to in the States. Everything is quite clean and the staff is well dressed and very courteous. Honest Grill was no exception to this rule. It had a modern design style with tiled walls, sleek booths, simple lighting, and metal furnishings. There was a large variety of burgers to be had, but when trying any new restaurant, I like to keep it simple and stick to the basics. As such, the Cheeseburger was a great place to start. 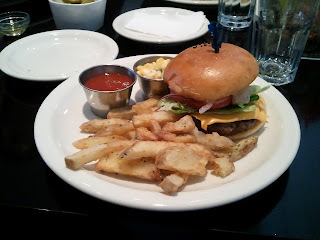 The burger had all of the traditional toppings that make up a good burger: lettuce, tomato, onion, and cheese. Where Honest Grill's interpretation kicked in was its two special toppings. The first was a creamy type of coleslaw. It was very sweet and loaded with vegetables like corn. It gave the burger an...interesting texture. Topping the whole burger off was a sauce consisting of ketchup and something spicy. It didn't have the bite and flavor of Tabasco, but it kicked things up a notch. The sauce was thinner than ketchup and did clear the sinuses. Overall, it was a good burger with a unique spin. I don't know that I would order it on a regular basis if it was available, but I'm glad I had the chance to eat it. An ample serving of seasoned fries that helped to take the bite off the burger's sauce. 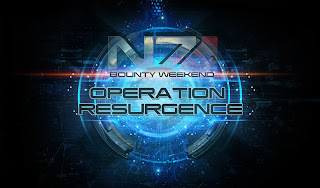 This weekend, April 13th through April 16th, Mass Effect will be having another bounty weekend. To participate, players will need to have downloaded the free Resurgence multiplayer pack. "Operation BEACHHEAD eased the pressure on allied planets and freed up conventional forces that were being hammered by the Reapers. With these reinforcements, the allies can use RESURGENCE to target more critical infrastructure. Anyone who has the Resurgence Pack multiplayer DLC operational during this weekend will be granted a Reserves Pack. A Reserves Pack unlocks one of the new random alien classes guaranteed. All participating squads will earn +10% additional experience when playing on the Resurgence expansion’s new maps, Firebase: Condor and Firebase: Hydra. 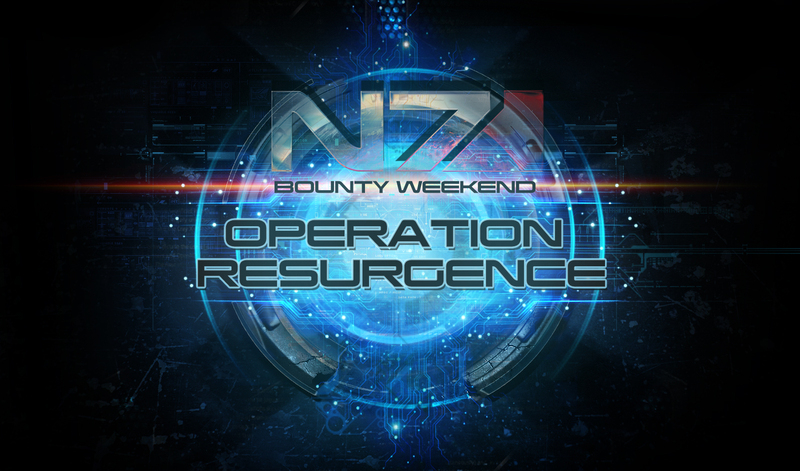 Welcome to Operation Resurgence, the next N7 Challenge Weekend! This week we released our first multiplayer expansion, the Resurgence Pack. This DLC added new maps, characters, weapons, and consumables. If you haven’t had a chance to download it yet, make sure to grab it; it’s available for no additional charge. Firebase Condor and Firebase Hydra are available immediately. If you download the Resurgence Pack and play this weekend you will be rewarded with a Reserves Pack the following week, containing one new Resurgence character. 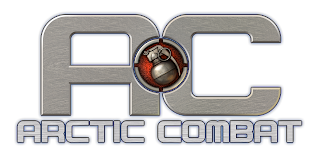 This Operation is currently available to Xbox 360 and PC users only, and will run from Friday, April 13th at 5PM PST to Monday, April 16th 5AM PST. 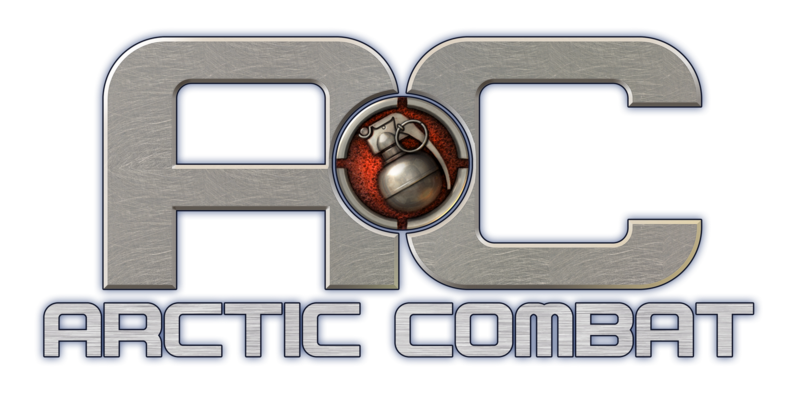 Unfortunately, we are not yet able to offer our Multiplayer Challenge weekends on PlayStation 3. Sony has not yet approved the promotion. We continue to work with them to find a compromise, but until then, Sony will not allow us to run the same Multiplayer Challenges on the PlayStation 3 that we run on Xbox 360 and PC. Please remember to set “Upload Gameplay Feedback” to “on” in the online options to be able to participate in Operation Resurgence." After visiting Webzen's studios in South Korea and getting a taste of their upcoming FPS, my preview is up at www.gamingclimax.com! My impressions of the upcoming action MMO RaiderZ is up at ww.gamingclimax.com! Thanks to Kim, we have three access codes for TERA's 5th closed beta test. It's a first come, first serve type of deal. The beta runs from Friday, April 6th, through Sunday, April 8th. Once you have your code, head to the Account Overview page and redeem the code. Download the game client and play. Happy hunting!